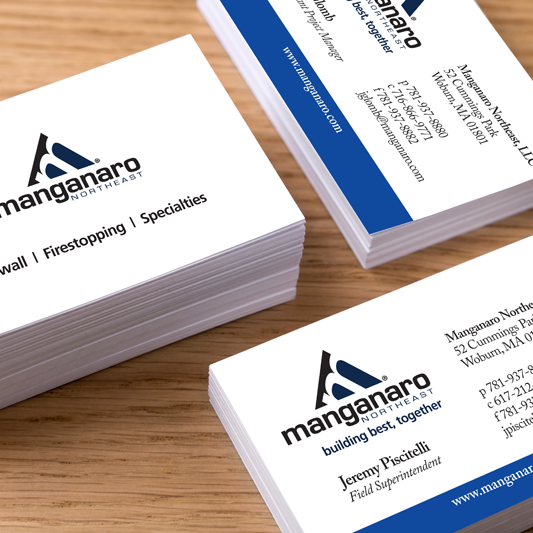 Manganaro Northeast LLC is a subcontracting firm that specializes in acoustical ceiling work and drywall. They have worked in schools, colleges, hotels, hospitals, office buildings, and condominiums since 1958. 1-Stop Design takes care of their branding and print needs.